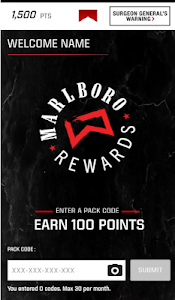 MHQ application enables adult smokers 21 years of age or older, who are enrolled in the Marlboro Rewards program, to scan and enter reward codes found on their packs for points. These points may be redeemed in the application for rewards. 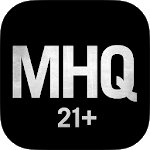 MHQ also simplifies the mobile coupon experience for adult smokers 21+. 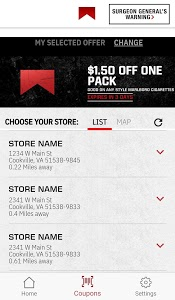 Adult smokers 21+ can easily access mobile coupons on their phone and locate a store where they can redeem the coupon. 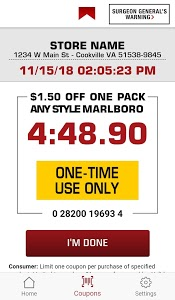 Push notifications can be turned on to receive reminders of when mobile coupons are available for use. 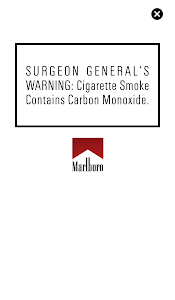 Only one mobile coupon may be redeemed per day, per eligible smoker 21 years of age or older. 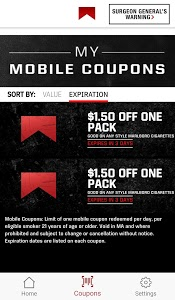 Mobile coupons are void in MA and where prohibited and subject to change or cancellation without notice.